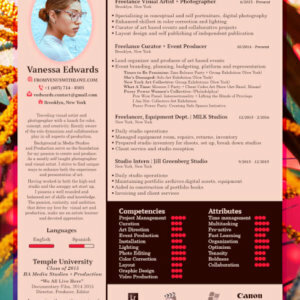 Resume posted by Venusian in Arts and Culture. A freelance visual artist and photographer with a background in video production. Seven years of relevant experience involving curation, art direction, self publishing, and event production.